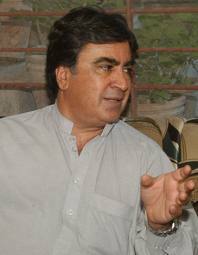 Dr. Jehanzeb Jamaldini is acting chief organizer of Balochistan National Party (BNP) which is one of the most vocal opposition parties in Balochistan. In March this year, he was elected a senator from Balochistan for next 6 years. In Senate, Dr. Jehanzeb Jamaldini chairs the standing committee on Procedures and Privileges. 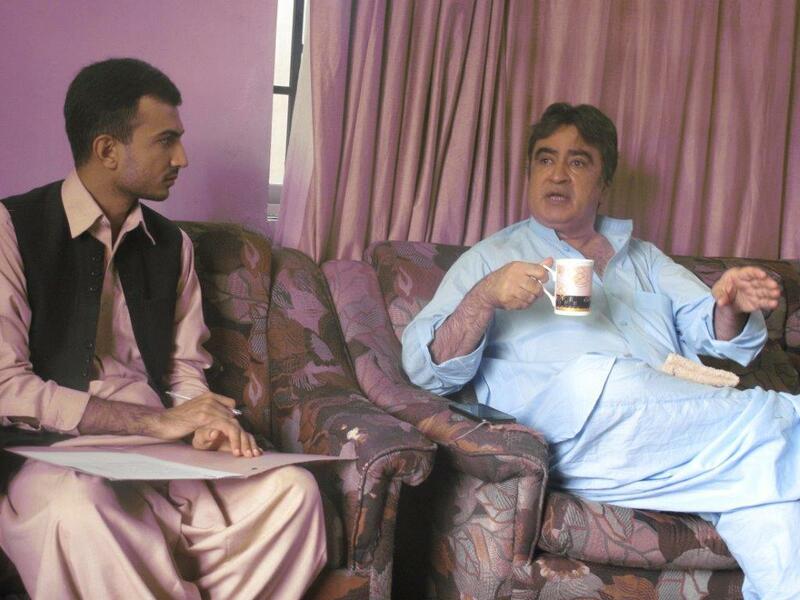 Balochistan Inside conducted an interview with Dr. Jehanzeb Jamaldini about different issues of Balochistan. Adnan Aamir: What role have you played in highlighting different issues of Balochistan after taking oath as Senator? Jehanzeb Jamaldini: One of the major problem faced by Youth, in Balochistan, is scarce employment opportunities. Youngsters from Balochistan often visit me in Islamabad and Quetta and apprise me on how fake domicile holders get the jobs on Balochistan quota. DMG officers serving as Deputy Commissioners and Assistant Commissioners have issued domicile certificates to their relatives, in huge numbers. In presence of large number of fake domicile holders, genuine candidates from Balochistan are deprived of jobs and scholarship opportunities. From the platform of different standing committees in Senate, I have raised the issue of jobs of Balochistan quota in Federal departments. I have put up questions with PIA, HEC, CDA, OGDCL, SNGPL, SSGC and other departments and asked them to explain how they are fulfilling 6 percent quota of Balochistan. I am also raising voice to investigate the authenticity of domicile certificates of all those candidates who have secured jobs on Quota of Balochistan. Question: How would you comment on the two years performance of Dr. Malik Baloch’s government? Answer: I have always been a well wisher of Dr. Malik Baloch. 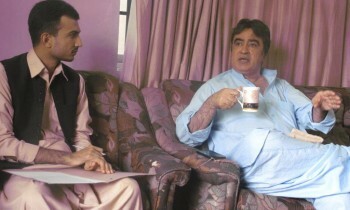 When He became Chief Minister of Balochistan, I provided him with multiple sets of master plans on how he can improve the performance of his government and be a successful Chief Minister. However, he viewed my suggestions with suspicion and ignored them from the outset. In last two years, Dr. Malik Baloch has failed to improve the security situation in the province. There has not been any improvement in matters relating to governance either. Dr. Malik Baloch is helpless without support of Pashtunkhwa Milli Awami Party (PKMAP) and this has further contributed to his failures as Chief Minister. Question: In March 2016, National census is all set to take place in Pakistan. In presence of hundreds of thousands of Afghan Refugees, How would BNP react to census in Balochistan? Answer: Without the exodus of Afghan Refugees from Balochistan, census is not acceptable to Baloch. It’s a fact that 4 million Afghan Refugees have been absorbed in society in Balochistan since 1979. Apart from these 4 million, there are another 1.6 to 1.8 million Afghan Refugees that PKMAP wants to register as Pakistani citizen. As compared to figures in 1998 census, population of Baloch districts has increased nominally but in Pashtun areas it has increased by 300% to 500%. For example Population of Qilla Abdullah was 370,269 in last census and now it has reached 2,138,997. There has been a 477.7% increase and this fact has been reported by national newspapers of Pakistan. Same is the case with Loralai and Pishin. Increase in population of Pashtun districts since 1998 has been only because of naturalization of Afghan Refugees. We will not only oppose census in presence of Afghan Refugees but will also resist it with every possible means. Question: Do you have any reservations on verdict of Judicial Commission on election rigging? Answer: We have been totally disappointed by the verdict of judicial commission. In 2013, Election Commission failed to conduct free and fair elections in Balochistan. In NA-260, where there is an overwhelming Baloch majority, a Pashtun candidate was declared victorious. Irrefutable evidence is available which suggests that no elections were conducted in Panjgur district but still candidates of National Party were declared victorious from there. These are just two examples of massive rigging in Balochistan. In Punjab elections were possibly rigged by Returning Officers but in Balochistan systematic rigging was carried out to cause defeat of BNP. Judicial commission ignored these realities and that’s why we have expressed our dismay on its verdict. Question: National Party is making continuous attempts to persuade Khan of Kalat to return to Pakistan. Do you think this will help in solving Balochistan conflict? Answer: Khan of Kalat is a respectable personality all over Balochistan. Family of Khan of Kalat used to be rulers of Balochistan. We welcome Khan of Kalat in politics of Balochistan. However, his return to Balochistan will have no impact in the situation of the province. Khan of Kalat doesn’t enjoy support of any strong political party in Balochistan. Neither any insurgent group is under his control. Therefore His return to Balochistan will be just symbolical. 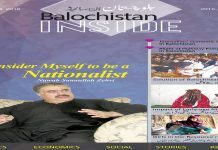 National Party government might be able to extend their tenure as a result of his return but it will not help, in any way, in solving Balochistan conflict. Question: In a recent press conference, you blamed government for targeting BNP. In your opinion, Why BNP is being targeted? Answer: BNP is being targeted by both belligerents in the Balochistan conflict. Baloch insurgents blame that BNP is an establishment-sponsored party and establishment blames that BNP is political wing of the insurgents. Both of these allegations are utterly wrong. BNP believes in democratic political struggle and completely rejects armed insurgency, use of weapons and sabotage to achieve political ends. We are being targeted due to our strong and uncompromising stance on issues of Balochistan. Nawaz Sharif and Shehbaz Sharif have repeatedly regretted that toppling government of BNP in 1998 was a grave mistake. Unfortunately, same mistake is once again repeated by not allowing BNP to freely take part in political activities. 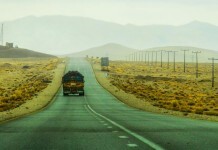 Question: As a leading Politician from Balochistan, in your opinion, what can be done to solve Balochistan conflict? Answer: Solution of Balochistan problem is political and it’s really simple. People of Balochistan should get the powers to make all decisions about Balochistan. 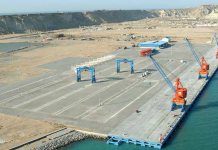 Decisions about mineral resources, ports, coasts and everything should be in the hands of Baloch. Balochistan should have provincial autonomy in accordance with Lahore Resolution of 1940. Para-military forces should be in provincial control. Free and fair elections should be conducted in Balochistan and fake leadership should not be imposed on the people. After taking these steps with sincerity, there can be harmony and peace in Balochistan. Disclaimer: Balochistan Inside not necessarily agrees with the views of the Interviewee.